Rejuvenis B-Complex is a dietary supplement to support nerve function, relieve anxiety, improve sleep and counteract the body’s dangerous response to stress. 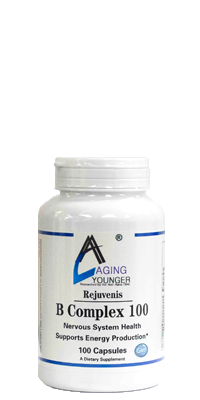 Rejuvenis B-Complex 100 is designed to assist in improving mood and to counteract the dangerous side effects of the body’s response to stress, which can include the suppression of the immune system, the breakdown of important proteins, and mental fatigue. B vitamins are essential components of metabolism and cognitive function with the ability to increase the body’s ability to use energy efficiently and absorb important nutrients. As a dietary supplement, take 1 capsule daily with a meal. A dietary supplement to support proper nerve function and relaxation. Thiamin and Niacinamide are required for normal brain function, cognitive activity and aid in energy production. Thiamin is also needed for acetylcholine production, a neurotransmitter involved in learning and memory functions. Vitamin B6 is needed for more than 100 enzymatic reactions in the body. Vitamin B6 is required for normal brain and nerve function, the synthesis of certain neurotransmitters and lipids that are part of the myelin sheath. Vitamin B12 is necessary for the maintenance of myelin, the fatty sheaths that cover and protect nerve endings. Biotin supports healthy nerve tissue, aids in cell growth and fatty acid metabolism. Choline is needed for the proper transmission of nerve impulses from the brain throughout the central nervous system. Pantothenic Acid plays a role in the production of the adrenal hormones and is required by all cells. Pantothenic Acid may be helpful in managing irregular moods and stress. PABA (para-aminobenzoic acid) helps in the assimilation of pantothenic acid and a deficiency may lead to irregular mood states, irritability and nervousness. Vitamin B12 has been shown to enhance sleep patterns, allowing for more restful and refreshing sleep. Inositol has a calming effect and a deficiency may lead to mood swings and irritability. Thiamin and Niacinamide are needed for proper circulation. Riboflavin is a necessary cofactor in the production of energy from carbohydrates, protein and fats. Vitamin B6 is needed for proper metabolism of fat and cholesterol. 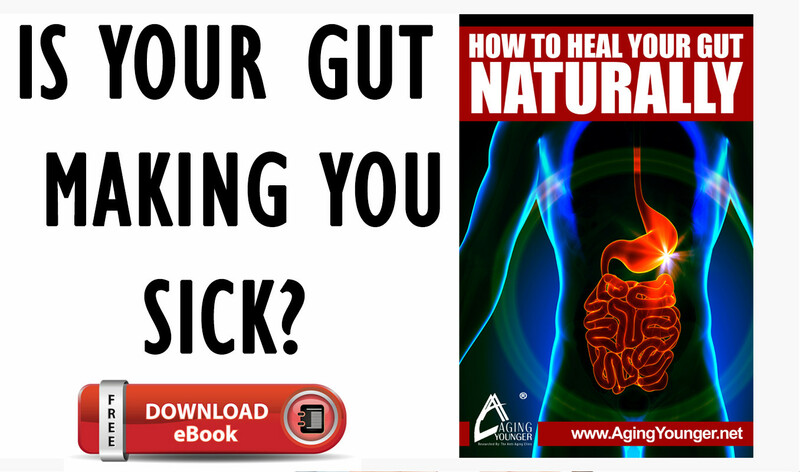 It is also involved in the process of transsulfuration, a pathway that breaks down homocysteine to prevent its buildup in the bloodstream. Folic Acid and Vitamin B12 are needed for the formation of red blood cells which help increase capillary blood flow and are necessary to recycle homocysteine into methionine. Folic Acid is needed for energy production, protein metabolism and repair of RNA and DNA. Biotin and Choline aid in fat and cholesterol metabolism.